I’m sure you guys remember that for the past TWO (ahh two already?!) 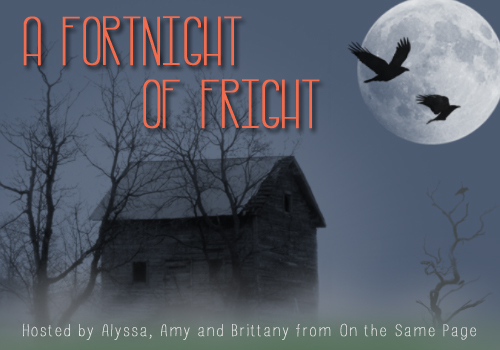 years Brittany from The Book Addicts Guide and I have hosted a two week event called Fortnight of Fright, where we shared different posts on all things Halloween! This year we have decided to host it under our collaborative name, Gals on the Same Page which means we get to host with Amy from Tripping Over Books as well! This means MOAR space for you guys to share and read awesome content! We will be working together with you guys and some fabulous authors to showcase some creepy books, interviews, movies and anything else Halloween and Autumn related that you can think of! As always, the more the merrier so scroll on down to the Google Doc and sign on up to help us out, friends! There is honestly no limit on what you can post about! Have a signature Halloween or Autumn cocktail or recipe? Pinterest board we should be checking out? A book recommendation for those of us who love to be scared? Or even something to lighten up those spooky Halloween nights? We want it all! JOIN US! Also, it wouldn’t be a Fortnight of Fright post without me mentioning All Hallow’s Read, would it? Don’t know what I’m getting at? Basically, Neil Gaiman is behind it and the gist is that during the week of Halloween, or on the night itself, you give someone a book. Skip the candy and GIVE OUT BOOKS, PEOPLE!! Want more info (you shouldn’t because, did you see about NEIL GAIMAN?!) go to the website and READ ALL ABOUT IT! This entry was posted in Event and tagged All Hallow's Read, Authors, books, event, events, Fortnight of Fright, neil gaiman, On the Same Page, reviews. Bookmark the permalink. Ooh, great idea! I’ll be away on vacation the whole last week of October sadly, but it looks like I’ll have tons of great reading to catch up on when I get back! 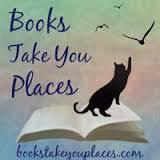 I am always looking for spooky book recs!